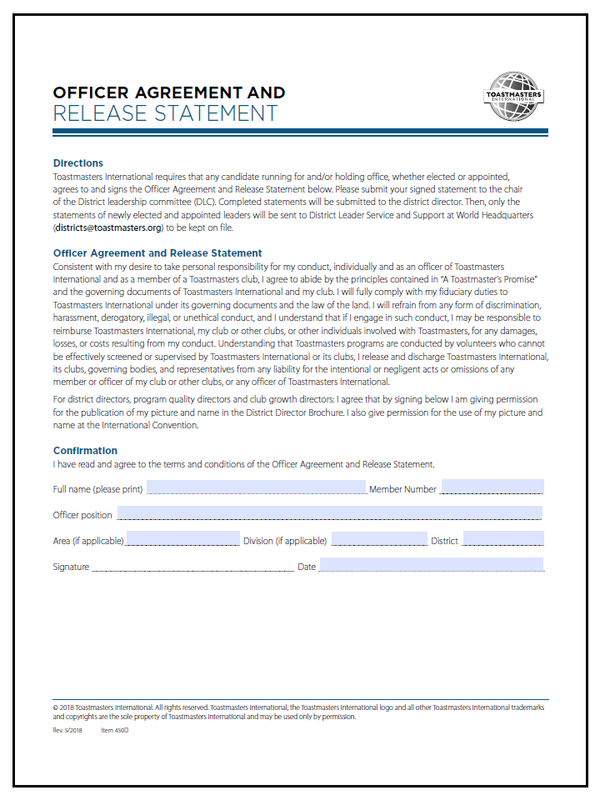 3) Forward the four completed forms above to District Leadership Committee Chair J.D. Dirkschneider, DTM, PDG at toastmasterjd@gmail.com. 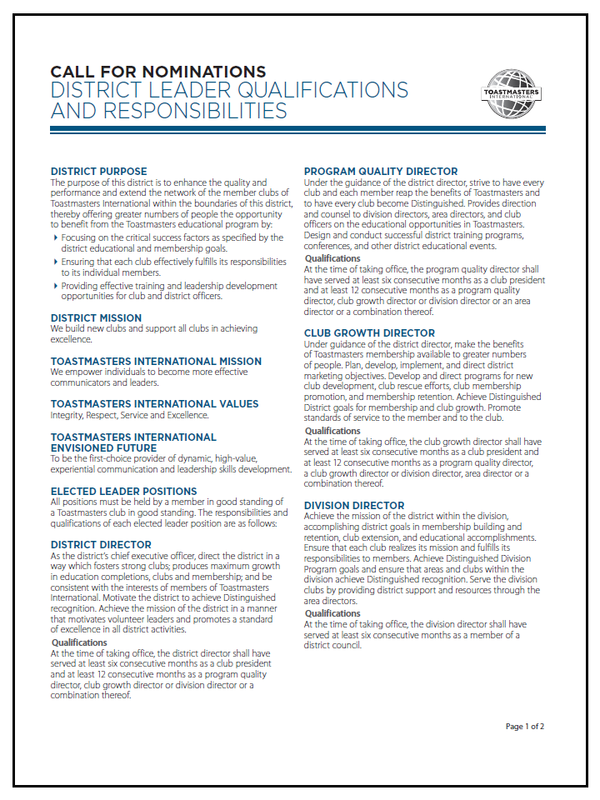 4) Area Director is an appointed position. 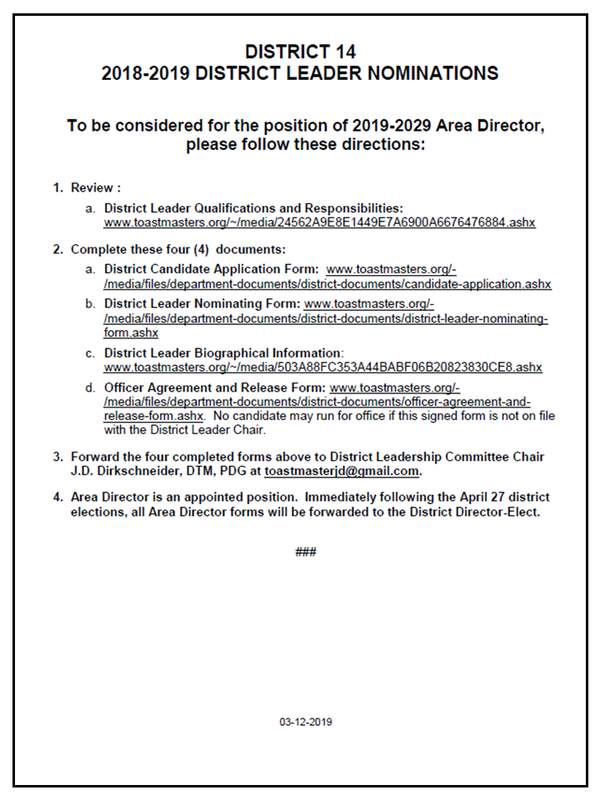 Immediately following the April 27 district elections, all Area Director forms will be forwarded to the District Director-Elect. - A Candidates’ Showcase occurs before the district's Annual Business Meeting for presentations by all district officer candidates. 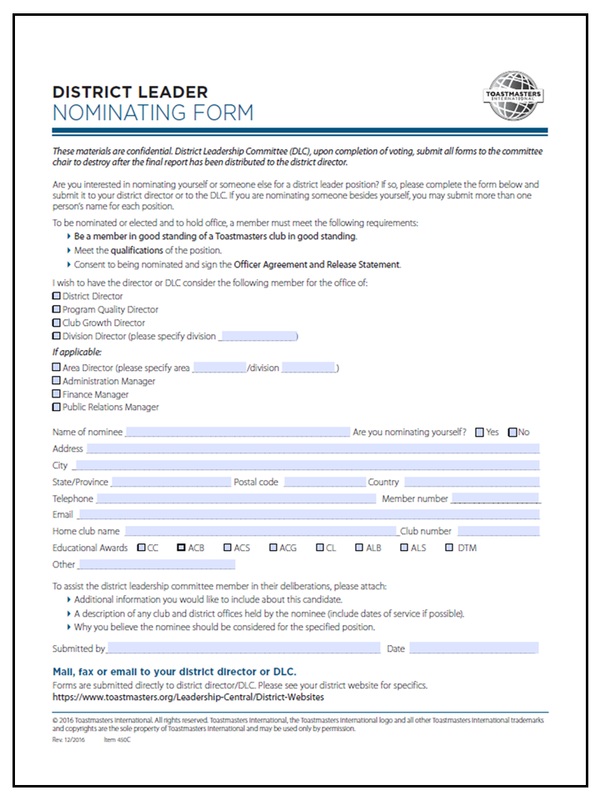 - Prior to the district's Annual Business Meeting the district director appoints directors to serve as chair and co-chair of the Candidates’ Showcase. Other directors are assigned as needed. 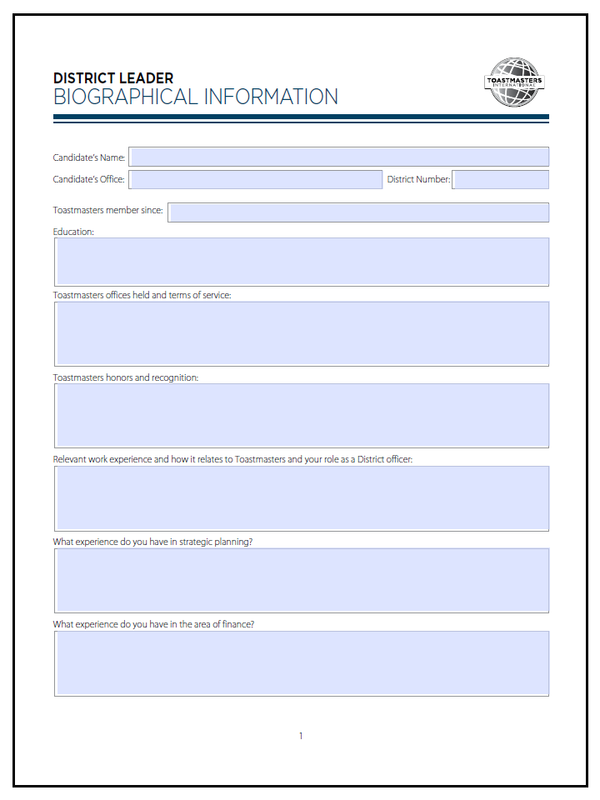 - Opposed officer and all director officer candidates are limited to a six-minute interview. 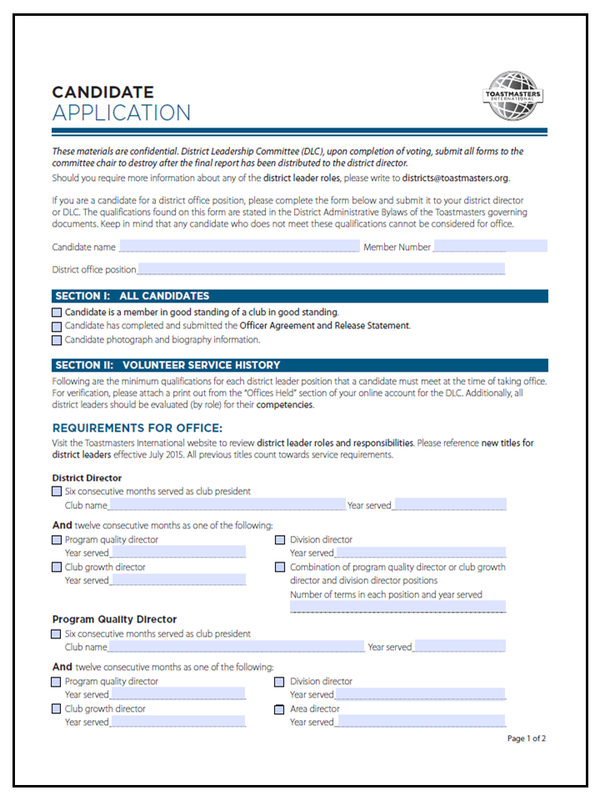 Unopposed officer candidates are limited to a three-minute interview. District leaders submit questions to be asked. 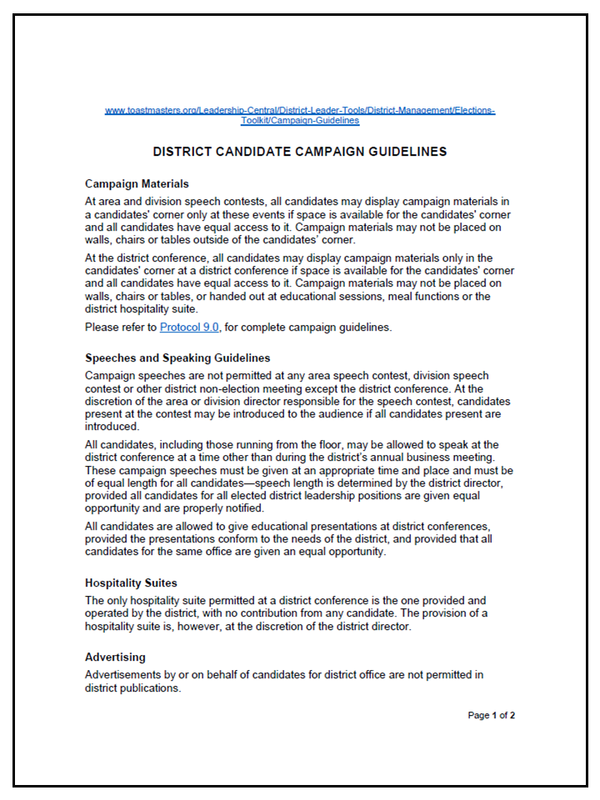 - The presentation schedule, with the names of all nominated and known floor candidates for district office, is prepared by the district. - There is no census or poll taken of the delegates at a Candidates’ Showcase.